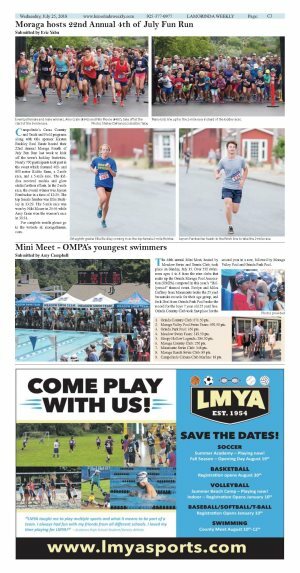 The 48th annual Mini Meet, hosted by Meadow Swim and Tennis Club, took place on Sunday, July 15. 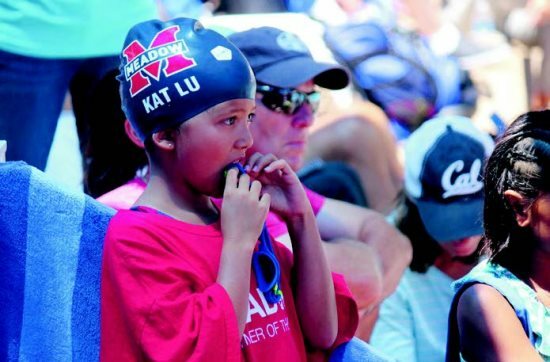 Over 550 swimmers ages 4 to 8 from the nine clubs that make up the Orinda Moraga Pool Association (OMPA) competed in this year's "Hollywood" themed event. Evelyn and Miles Gaffney from Miramonte broke the 25 yard breastroke records for their age group, and Jack Deal from Orinda Park Pool broke the record for the boys 7 year old 25 yard free. 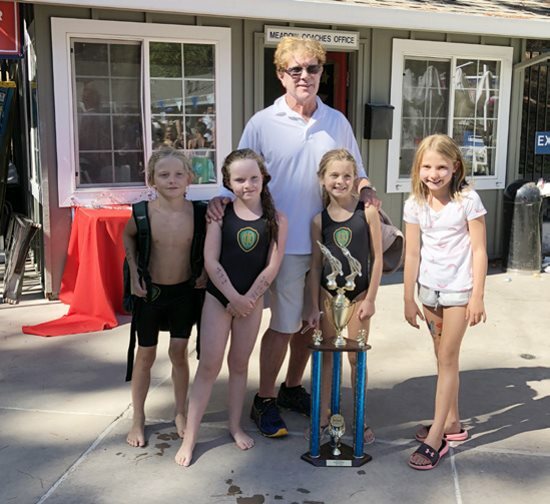 Orinda Country Club took first place for the second year in a row, followed by Moraga Valley Pool and Orinda Park Pool. 1. Orinda Country Club: 671.50 pts. 2. Moraga Valley Pool Swim Team: 490.50 pts. 3. Orinda Park Pool: 356 pts. 4. 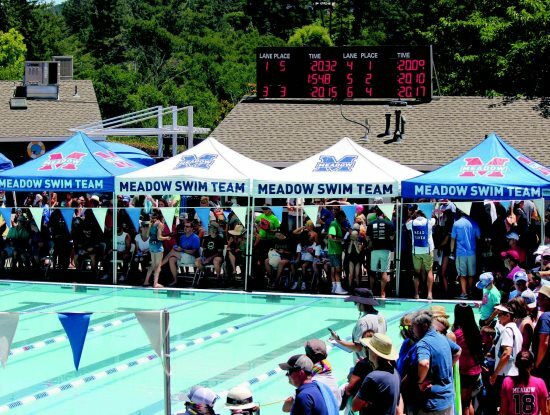 Meadow Swim Team: 319.50 pts. 5. Sleepy Hollow Legends: 286.50 pts. 6. Moraga Country Club: 250 pts. 7. Miramonte Swim Club: 148 pts. 8. Moraga Ranch Swim Club: 89 pts. 9. Campolindo Cabana Club Marlins: 18 pts.